A bill intended to reduce the volume of microplastics dumped into the ocean was approved by Japan’s parliament on Friday, but it included no sanctions for failure to comply. The measure, which received unanimous approval in the upper house, seeks to encourage businesses to reduce their use of microplastics, including microbeads, tiny plastic particles used in exfoliating creams and other cosmetic products. Microbeads and chipped plastic waste from grocery bags and cups often end up in the world’s oceans, contributing to a build-up of plastic that is choking marine creatures and damaging the environment.But the law contains no details of punishment for those who break it, raising questions over its impact. The effect of microplastics on human health remains unclear, but scientists have expressed alarm over their presence in everything from bottled water to seafood. A team of researchers last year found some 40 percent of fish caught in a survey across Japan had microplastics in their digestive systems. World leaders have voiced concern and five countries at the Group of Seven meeting in Canada this month signed up to a new charter seeking to limit plastic pollution. 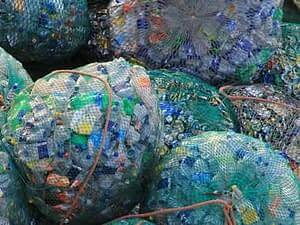 Japan, along with the United States, did not sign up to the charter, which aims among other things to increase plastic recycling. Japanese industry has started taking measures to address concerns about microplastics, according to the government, with major manufacturers already ending the use of microbeads. The new law also encourages local government to educate residents about recycling and reduction of plastics.